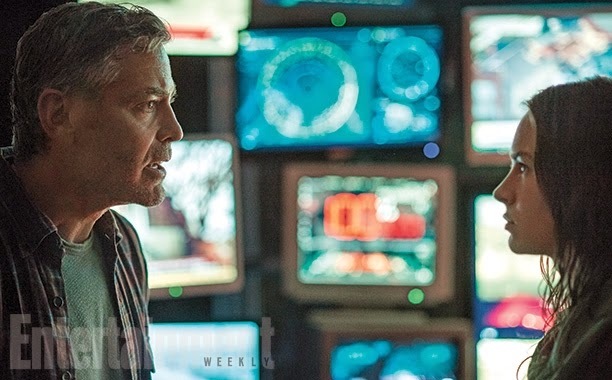 Tomorrowland is the new science fiction epic from director Brad Bird (The Incredibles). Entertainment Weekly has the first images of the film as well as a few more details. 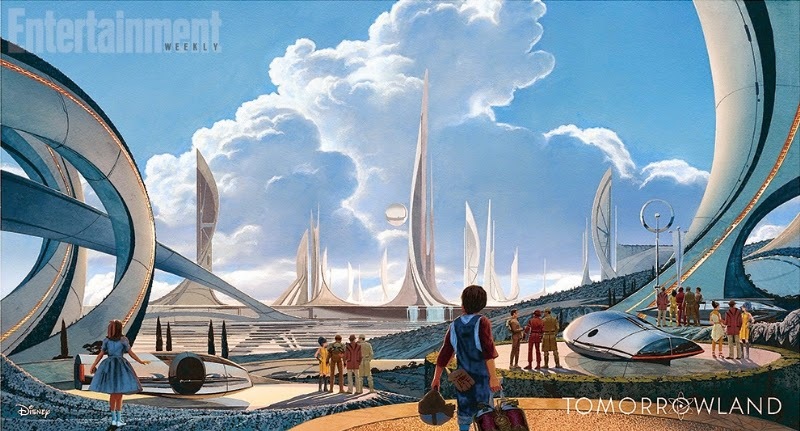 The film stars Britt Robertson as Casey Newton, and Gerge Clooney as Frank Walker, as well as some concept art of the mysterious Tomorrowland itself. "What Hogwarts is to magic, Tomorrowland is to science: They are both easy to find if you are a wizard and very difficult to find if you’re a Muggle,” co-writer Damon Lindelof tells the site. “Walt Disney is not a character in our movie, but he is referenced as having some involvement in this mysterious place called Tomorrowland, as a huge futurist and aficionado of space travel, rocketry, cities of the future, and space travel.” It turns out Miss Newton takes an interest in the place and sets out to find it with the help of failed inventor, Frank Walker. 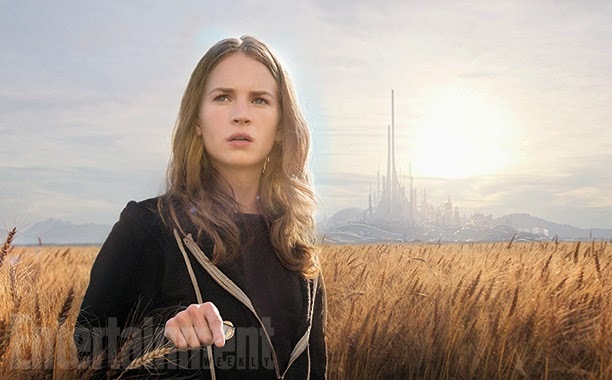 Tomorrowland is due in theaters in 2015.